The economy’s yearlong downturn, officially declared a recession Monday, could last well into next year or even beyond, challenging the government to devise new responses as traditional methods show limited results. Prosecutors are launching inquiries across Russia against media reporting on the financial crisis in a bid to stem growing concern about its impact, the Kommersant newspaper reported on Wednesday. “It’s not censorship. We’re just checking how reliable the information is,” a press official from the prosecutor general’s office was quoted as saying. The official gave the example of unreliable reports about a bankruptcy causing a run on deposits from a bank in the Far Eastern port of Vladivostok. Regional prosecutors have been ordered to check local media “in connection with measures taken by the Russian government to improve the situation in the financial sector and other sectors of the economy,” Kommersant said. Investigators in Sverdlovsk, a key industrial region in the Ural mountains, are checking local media for attempts “to destabilise the situation in the region,” a spokeswoman for the local prosecutor’s office was quoted as saying. “If we establish that the law has been violated, there could be disciplinary measures against the guilty, including criminal punishment,” she said. This spring, disaster loomed in the global food market. Precipitous increases in the prices of staples like rice (up more than a hundred and fifty per cent in a few months) and maize provoked food riots, toppled governments, and threatened the lives of tens of millions. But the bursting of the commodity bubble eased those pressures, and food prices, while still high, have come well off the astronomical levels they hit in April. For Americans, the drop in commodity prices has put a few more bucks in people’s pockets; in much of the developing world, it may have saved many from actually starving. So did the global financial crisis solve the global food crisis? Temporarily, perhaps. But the recent price drop doesn’t provide any long-term respite from the threat of food shortages or future price spikes. Nor has it reassured anyone about the health of the global agricultural system, which the crisis revealed as dangerously unstable. Four decades after the Green Revolution, and after waves of market reforms intended to transform agricultural production, we’re still having a hard time insuring that people simply get enough to eat, and we seem to be more vulnerable to supply shocks than ever. It wasn’t supposed to be this way. Over the past two decades, countries around the world have moved away from their focus on “food security” and handed market forces a greater role in shaping agricultural policy. Before the nineteen-eighties, developing countries had so-called “agricultural marketing boards,” which would buy commodities from farmers at fixed prices (prices high enough to keep farmers farming), and then store them in strategic reserves that could be used in the event of bad harvests or soaring import prices. But in the eighties and nineties, often as part of structural-adjustment programs imposed by the I.M.F. or the World Bank, many marketing boards were eliminated or cut back, and grain reserves, deemed inefficient and unnecessary, were sold off. In the same way, structural-adjustment programs often did away with government investment in and subsidies to agriculture—most notably, subsidies for things like fertilizers and high-yield seeds. The logic behind these reforms was simple: the market would allocate resources more efficiently than government, leading to greater productivity. Farmers, instead of growing subsidized maize and wheat at high cost, could concentrate on cash crops, like cashews and chocolate, and use the money they made to buy staple foods. If a country couldn’t compete in the global economy, production would migrate to countries that could. It was also assumed that, once governments stepped out of the way, private investment would flood into agriculture, boosting performance. And international aid seemed a more efficient way of relieving food crises than relying on countries to maintain surpluses and food-security programs, which are wasteful and costly. This “marketization” of agriculture has not, to be sure, been fully carried through. Subsidies are still endemic in rich countries and poor, while developing countries often place tariffs on imported food, which benefit their farmers but drive up prices for consumers. And in extreme circumstances countries restrict exports, hoarding food for their own citizens. Most Asian stock markets retreated Tuesday after weakness on Wall Street, as concerns about the global economy sapped enthusiasm over China‘s nearly $600 billion package to boost growth. Tokyo’s Nikkei 225 index was down 272.13 points, or 3 percent, to 8,809.30 as the yen strengthened against the dollar. In Hong Kong, the Hang Seng benchmark was 2.2 percent lower at 14,407.45 points. Australia’s benchmark fell 3.6 percent. Markets in Singapore, South Korea and India also declined. The Shanghai Composite index, up earlier in the session, fell 1.5 percent despite figures showing the country’s inflation rate eased further last month. Regional equities were up sharply Monday on hopes that China’s 4 trillion yuan ($586 billion) stimulus package, announced Sunday, would keep its economic growth from falling too fast and help fuel demand for exports from other Asian countries. But the rally proved short lived amid fresh evidence of more economic troubles. In the U.S., major electronics retailer Circuit City Stores Inc. filed for bankruptcy protection. Investors also speculated about the fate of General Motors Corp., Chrysler and Ford Motor Co. after the automakers met with lawmakers last week in hopes of securing financial help. In Asia, Japan’s government reported the country’s current account surplus in September plunged almost 50 percent from a year earlier as export growth waned in the face of a global slowdown. Pakistan, Sri Lanka and Vietnam are the Asian countries most at risk of a credit-rating downgrade as the global economy heads into a recession and funds become scarcer, said Standard & Poor’s. Foreign investors are exiting Asia’s emerging markets as they seek less-risky returns amid the worst financial crisis since the Great Depression. That’s making it more difficult for nations in the region to pay for imports and is shrinking their foreign reserves. Pakistan’s credit rating was cut by S&P on Oct. 6 to CCC+, or seven levels below investment grade, on concern it won’t be able to pay its $3 billion debt servicing costs due in the coming year. It approached the International Monetary Fund last month for a bailout package after its foreign reserves shrunk to $3.71 billion on Oct. 25 from $14.2 billion a year ago. Funding difficulties are the biggest threat to Sri Lanka’s ratings, Okorotchenko said. S&P rates Sri Lanka’s long-term foreign currency debt at B+ with negative outlook. Toyota Motor slashed its profit forecast Thursday, warning the global auto industry faces an “unprecedented” crisis as Asian stocks tumbled on fears the US is sinking deeper towards recession. The Japanese giant became the latest automaker to reveal plunging profits due to the financial crisis, following on the heels of BMW, Nissan and Honda. Toyota , vying with General Motors for the title of the world’s top automaker, cut its annual profit forecast by more than half after a terrible year so far. It now expects a 68 percent plunge in net profit to 550 billion yen (5.6 billion dollars) — the first drop in nine years. “The financial crisis is negatively impacting the real economy worldwide, and the automotive markets, especially in developed countries, are contracting rapidly,” Toyota executive vice president Mitsuo Kinoshita said. 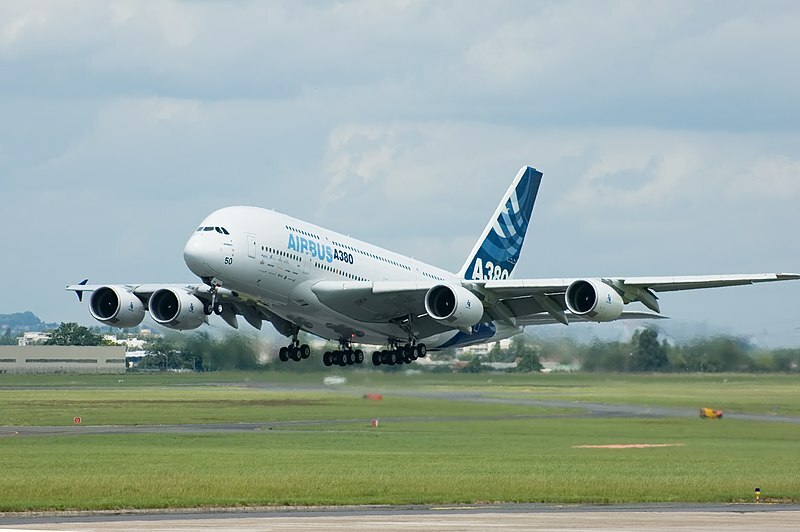 Elsewhere in the transport sector, European aircraft manufacturer Airbus warned it expects a sharp reduction in new orders in 2009 as the global economy slows. Amid the gloomy news, Asian stock markets fell heavily. Japan’s Nikkei stock index plunged 6.53 percent even before the Toyota warning, which came after the close of trade. The drop wiped out gains seen a day earlier on hopes that US president-elect Barack Obama will get to work on fixing the world’s largest economy in the face of the worst financial crisis in decades. “Now that the event is over, investors are sobering up and looking at the economic gloom,” said Mizuho Investors Securities broker Masatoshi Sato. Seoul ended with a loss of 7.6 percent while Sydney shed 4.3 percent. Hong Kong shares were down 6.4 percent at midday. The sharp falls came after the Dow Jones index slid 5.05 percent on Wall Street on Wednesday as investors braced for a gloomy economic ride after the euphoria of Obama’s election victory faded. In his maiden address to the Russian Parliament, President Dmitri Medvedev blamed the United States for Moscow’s war with Georgia and for the world financial crisis. Washington, Medvedev said, was threatening Russia’s security with the creation of a missile defense system and new NATO military bases around Russia‘s western and southern flanks. “We have gotten the clear impression that they are testing our strength,” Medvedev said in his speech, which was made on the day U.S. voters elected Barack Obama president, and which at times recalled Soviet era rhetoric. In response, Medvedev said that Moscow had canceled the long planned dismantling of the Kozelsk ICBM Division and would deploy short-range Iskander missiles and electronic jamming systems in Kaliningrad, a Russian enclave sandwiched between Poland and Lithuania. The Russian president’s words were presumably timed to remind America’s newly-elected president that Moscow still matters. But Medvedev’s threats are not quite as tough as they might sound. The Kozelsk Division consists of 46 missiles built in 1979. The weapons have now been in service three times longer than planned and the harsh truth is that Russia is struggling to build the next generation long-range missiles. This is an audio feed from the BBC, Thursday, November 5, 2008. The second audio segment features Professor Peter Morici of the University of Maryland, which is an excellent review of the challenges facing President Elect Obama…. A plunge in Wall Street stocks provided a sharp reminder of the scale of the financial challenges facing Barack Obama as gloomy economic data fuelled fresh fears of a deep, prolonged US recession. Obama owes a large slice of his electoral success to the global financial crisis. Exit polls found that 62% of voters put the US economy as their number one issue – and that 85% of Americans termed themselves “worried” about the economy’s direction. Yesterday, amid the celebrations, the Dow Jones industrial average tumbled more than 5%, or 486 points, to 9,139, more than eliminating Tuesday’s 300-point rise, the biggest election day gain since 1984. Monthly employment figures showed that 157,000 jobs disappeared during October as service sector activity contracted sharply. The numbers reinforced the bleak outlook soon to be inherited by Obama, who faces plummeting house prices, seesawing stocks, failing banks and a crisis-stricken US motor industry. His first act will be to select a treasury secretary who will be responsible for spending a $700bn banking bail-out fund and will need to be a credible name. Candidates include the Clinton-era treasury secretary Lawrence Summers and the former Federal Reserve chairman Paul Volcker, a close economic adviser to Obama who is possibly too old at 81. A third widely tipped candidate is Timothy Geithner, president of the Fed’s New York branch, who has won plaudits for his cool-headed involvement in supporting teetering Wall Street institutions. Even before his inauguration, Obama will be pivotal in negotiating a stimulus package to kickstart economic activity. The House speaker, Nancy Pelosi, wants a $100bn programme that would include money for states to create employment by building new transport links, schools and public facilities. It could involve food stamps for the poor, relief for people struggling with mortgages and, possibly, a round of tax rebate cheques. Next on the list of reforms will be regulation. The US treasury has spent $250bn buying stakes to part-nationalise struggling banks. But critics say few strings have been attached to these handouts. A potential trip-up lies in Detroit, the down-at-heel motor city. The city’s three major car-makers – General Motors, Ford and Chrysler – are losing billions of dollars every month. GM could run out of money next year unless Americans start buying cars again. The industry is pleading for a bail-out. The new president will need to show some tough love. Key to Obama’s economic platform is a tax cut to ease the fiscal pain suffered by working-class families. Obama has pledged relief of around $500 a person, which, his campaign says, will completely eliminate income tax for 10 million Americans. Obama’s spending plans are due to be financed through a tax rise for those earning more than $250,000 and through a windfall tax on energy companies. In all that he does, Obama will need to be diplomatic. In an economic environment of extreme twitchiness, the new president’s intentions will be scrutinised as never before. Biggest Post Election Stock Drop Ever: Obama Fear? A case of postelection nerves sent Wall Street plunging Wednesday as investors, looking past Barack Obama’s presidential victory, returned to their fears of a deep and protracted recession. Volatility swept over the market again, with the Dow Jones industrials falling nearly 500 points and all the major indexes tumbling more than 5 percent. The market was widely expected to give back some gains after a runup that lifted the Standard & Poor’s 500 index more than 18 percent and that gave the Dow its best weekly advance in 34 years; moreover, many analysts had warned that Wall Street faced more turbulence after two months of devastating losses. But investors lost their recent confidence about the economy and began dumping stocks again. Beyond broad economic concerns, worries about the financial sector intensified after Goldman Sachs Group Inc. began to notify about 3,200 employees globally that they have been lost their jobs as part of a broader plan to slash 10 percent of the investment bank’s work force, a person familiar with the situation said. The cuts were first reported last month. Goldman fell 8 percent, while other financial names also fell; Citigroup Inc. dropped 14 percent. Commodities stocks also fell after steelmaker ArcelorMittal said it would slash production because of weakening demand. Its stock plunged 21.5 percent. Although the market expected Obama to win the election, as the session wore on investors were clearly worrying about the weakness of the economy and pondered what the Obama administration might do. Analysts said the market is already anxious about who Obama selects as the next Treasury Secretary, as well as who he picks for other Cabinet positions.